HMH Books for Young Readers, 9780152051242, 304pp. Scattered among poor, desolate farms, the clans of the Uplands possess gifts. Wondrous gifts: the ability—with a glance, a gesture, a word—to summon animals, bring forth fire, move the land. 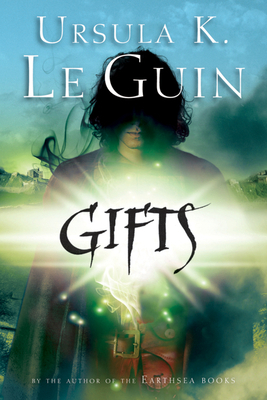 Fearsome gifts: They can twist a limb, chain a mind, inflict a wasting illness. The Uplanders live in constant fear that one family might unleash its gift against another. Two young people, friends since childhood, decide not to use their gifts. One, a girl, refuses to bring animals to their death in the hunt. The other, a boy, wears a blindfold lest his eyes and his anger kill. URSULA K. LE GUIN was born in Berkeley, California, in 1929, and passed away in Portland, Oregon, in 2018. She published over sixty books of fiction, nonfiction, poetry, drama, children’s literature, and translation. She was the recipient of a National Book Award, six Hugo and five Nebula awards, and was inducted into the American Academy of Arts and Letters.